^ Sack of Constantinople, 1204. Agiasofia.com. [2008-12-30]. 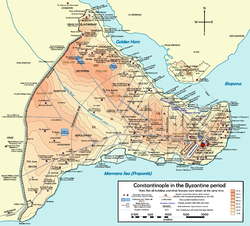 ^ The Fourth Crusade and the Fall of Constantinople. Geocities.com. [2008-12-30]. （原始内容存档于2009-08-08）. ^ Alexius V. Encyclopedia2.thefreedictionary.com. [2008-12-30].